When it comes to optimization, we don’t have much control over the internet, but we could reduce the amount of requests. Client-side code can be optimized by content bundling and minification. Caching a for a very short period time like one second. This is required in instances like reducing thousands of database queries per second. 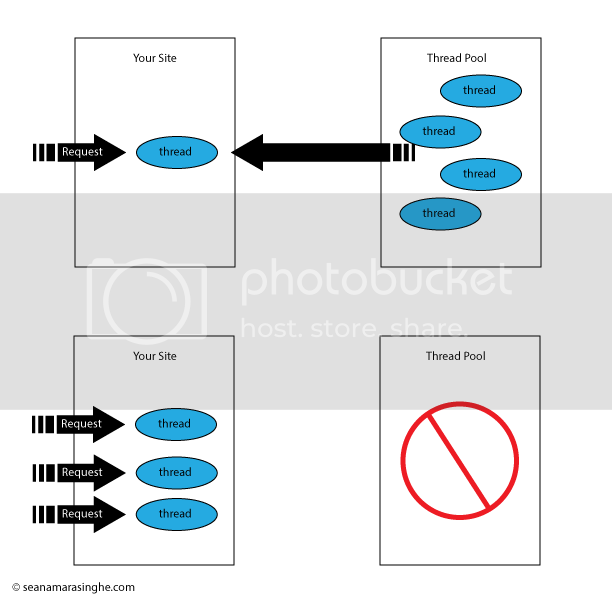 This reduces the bottleneck for database access. A Child Action in MVC is similar to a User Control in ASP.Net web forms. It allows for a controller to execute for a portion of the rendered area of a view, just like in Web Forms where you can execute a UserControl for a portion of the rendered area of a page. Child Actions can be very powerful especially when you want to have re-usable controller code to execute that you otherwise wouldn’t want executing inside of your view. This makes unit testing simpler because only controller code need to be tested, not the code in a view. When there’s a long running operation, you can’t apply output caching. Asynchronous actions can be used to resolve this problem by scaling your site for more concurrent users. When a request being made on your ASP.NET website, it calls a vacant thread from the thread pool. If there are lots of requests, and the thread pool runs out of free threads, your website will stop responding. To mitigate this issue, asynchronous actions can be used to queue the requests. Modern browsers limit open connection to 6. Rendering stops to wait for some scripts to finish downloading. Bundling(reduces the number of files) and minification(makes files smaller) can be used for reducing page load times. .NET framework provides System.Web.Optimization library for this purpose. You can register your bundles on the BundleConfig.cs file of App_Start folder. Note that line 15 uses a version placeholder and line 19 uses a wild card to look for similar files. Styles and script files should be references on _Layout.cshml file.